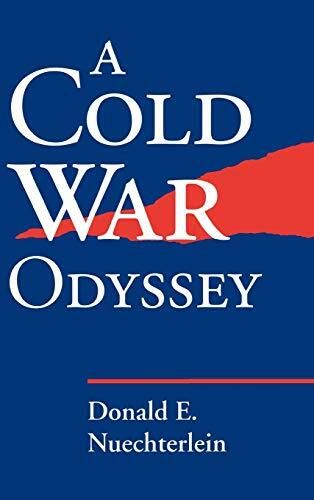 The Cold War - that long ideological conflict between the world's two superpowers - had a profound effect not only on nations but on individuals, especially all those involved in setting and implementing the policies that shaped the struggle. Donald Nuechterlein was one such individual and this is his story. Although based in fact, the narrative reads like fiction, and it takes the reader behind the scenes as no purely factual telling of that complex story can. Presented as the story of David and Helen Bruening and their family, A Cold War Odyssey carries us across three continents. Against a backdrop of national and international events, we follow the Bruenings through five decades as David's governmental and academic assignments take them to all corners of the world. In the tradition of Herman Wouk's Winds of War, the Bruenings' personal and professional odyssey offers us a microcosm of world history in the second half of the twentieth century. Through the acute eyes of these participant observers, we see the partitioning of Europe after World War II, Korea and Vietnam, Watergate and Iran, the fall of the Berlin Wall and the reunification of Germany, the collapse of the Soviet Union and, with it, the end of the Cold War. With each succeeding episode, our understanding of the causes and consequences of international struggle is deepened through the Bruenings' experience.